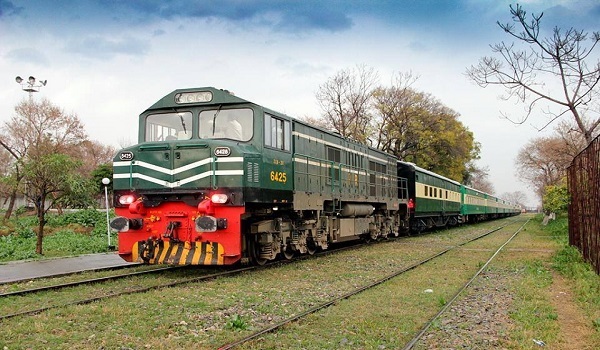 Lahore: Pakistan Railways will introduce 20 new trains in 2019, a news source quoted Minister for Railways Sheikh Rasheed. He shared this information during a press conference. The minister said the fleet would also include two VVIP trains, which will feature food served from five-star hotels. In addition to that, twenty freight trains will also become operational before March 23, he added. Rasheed appreciated the positive response the new trains received within the first 90 days of the government. In light of this response, the plan for running more new trains has been devised. The minister expressed gratitude to Chief Justice Mian Saqib Nisar for directing courts to settle all pending railways cases within 60 days. Further talking about the progress of Pakistan Railways, he said that several ticket dodgers have been apprehended and PKR 70 million has been recovered in fares and fines so far. It was also revealed during the press conference that a special coach for women will be attached to Rehman Baba Express train. Over time, all trains heading to Karachi will feature a special ladies’ compartment. Passengers have also been advised against traveling on rooftops to ensure their safety. Rasheed mentioned that complaints regarding misconduct of railways employees will be reported directly to him. The minister said that the Economic Coordination Committee (ECC) has approved setting up of oil depots in engine sheds and that all oil transport by railways will be managed by a single unit. This will continue until fuel pumps can be established by Pakistan Railways. He also sought names for the new trains, announcing a reward of PKR 25,000 for the winner.